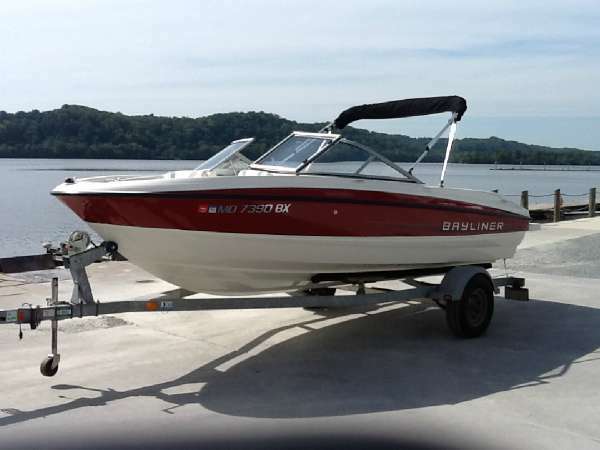 2010 Bayliner 195 Bowrider This 2010 Bayliner 195 BR is a one owner boat that has been garage kept and used in freshwater only. The exterior is clean and interior is very clean. 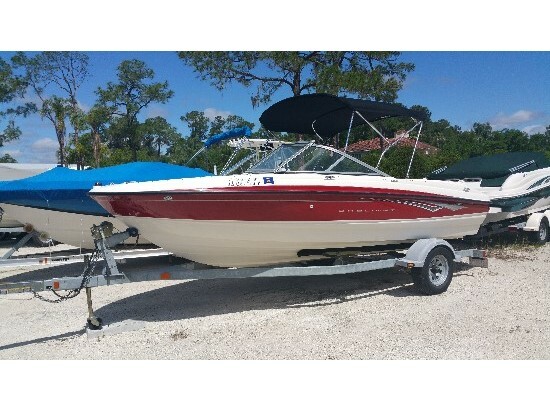 Includes the following equipment: MerCruiser 4.3L V6 190hp engine, bimini top, cover, stereo, Captains chair, back to back passenger seating, convertible sunpad and a galvanized trailer with swing tongue and spare tire. 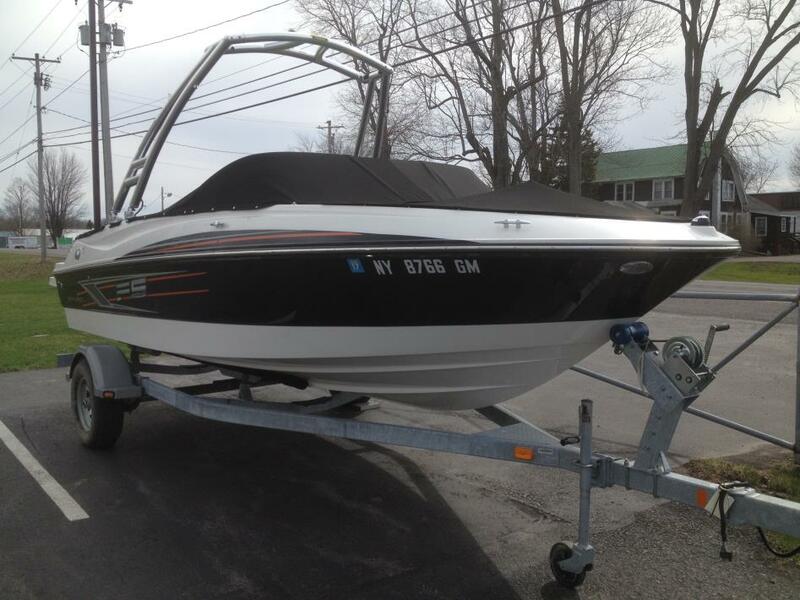 This boat has been mechanically inspected and ready to go to the lake. 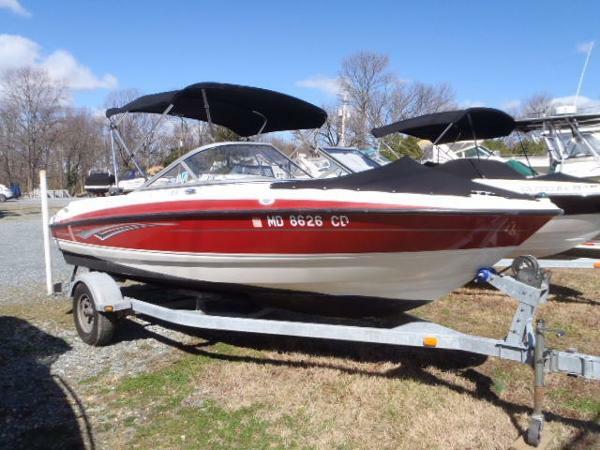 2009 Bayliner 195 Bowrider 2009 BAYLINER 195 BR, The Bayliner 195 is the perfect first-time family boat and this one is an especially good deal.It comes equipped with cool features like double bolstered driver and front passenger seats, a large built-in ice chest with overboard drain, Kenwood AM/FM/BT Stereo, a water-sports tow tower w/board racks and (2)bullet speakers, dual battery set-up, swing-a-way trailer hitch, underwater lights, extended swim platform, 190HP Mercury 4.3 TKS, and plenty of cup holders.There is room for 9 onboard and plenty of storage space for toys, coolers and picnic baskets.The trailer is included at this price and everyone pre-owned boat from North Texas Marine includes a 30 day stem to stern peace-of-mind guarantee. 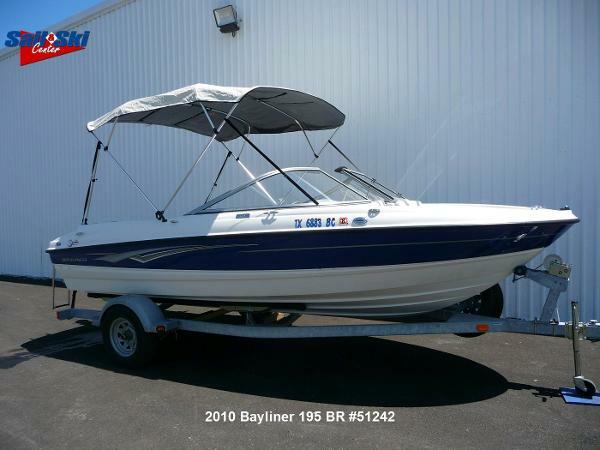 2010 Bayliner 195 Bowrider This well-maintained 2010 19' Bayliner 195 Open Bow is powered by a 4.3 Ltr 205 hp Mercruiser with Alpha I outdrive. 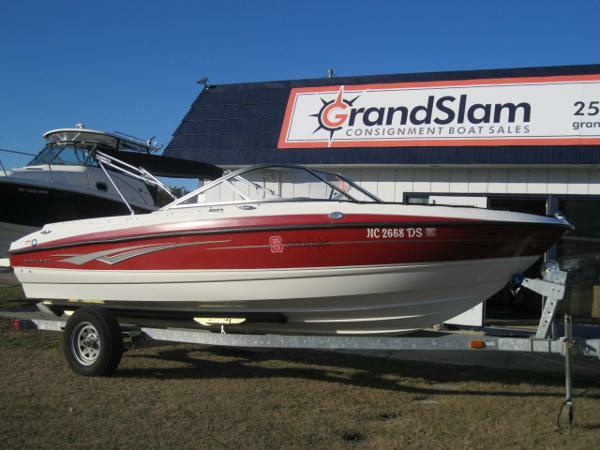 A perfect boat for taking friends and family out on the water for the day! She seats nine passengers in comfortable cushioned seating. 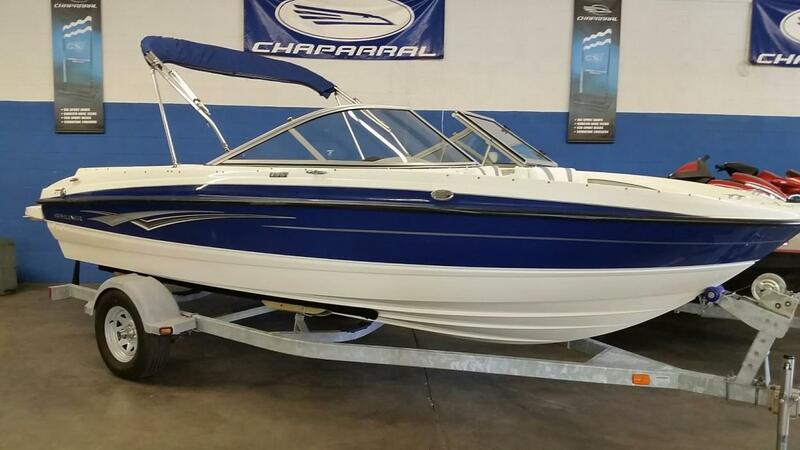 Her bow seating can be converted to a sun pad with filler cushion, and she has a large transom sun pad and integrated swim platform for sunbathers and water lovers! 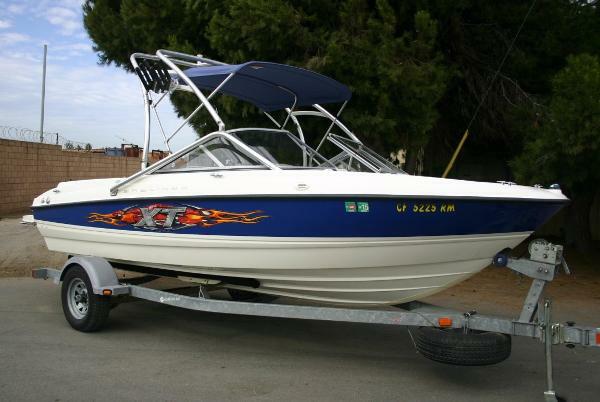 She also has removable transom cushions for moving on and off the boat plus plenty of storage! 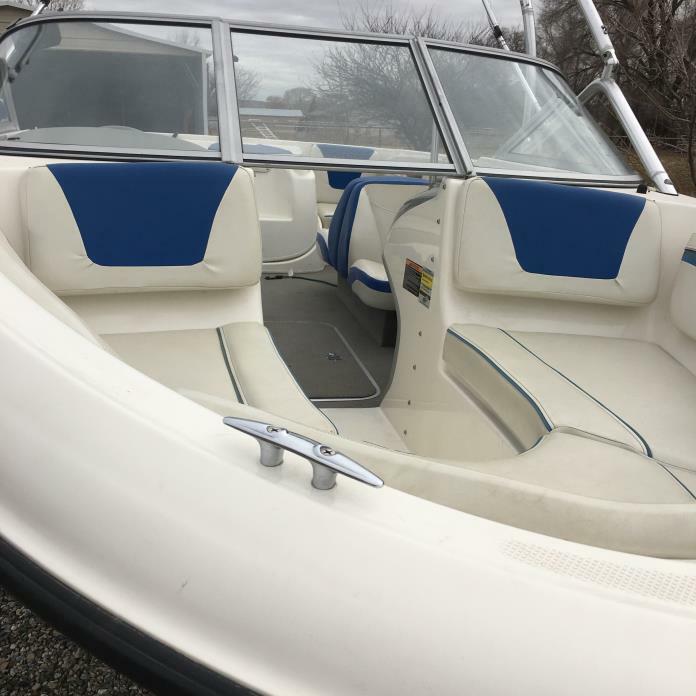 Her helm instrumentation includes a Jensen AM/FM Stereo and a Garmin Combo GPS/Depth Sounder. 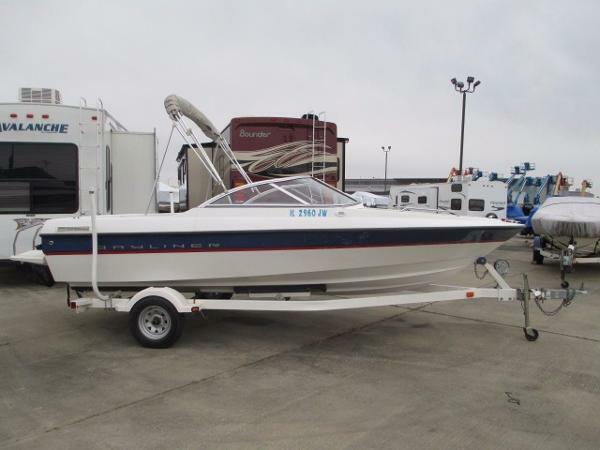 She has a bimini top, plus mooring and bow covers! She comes with a 2011 Karavan Trailer! 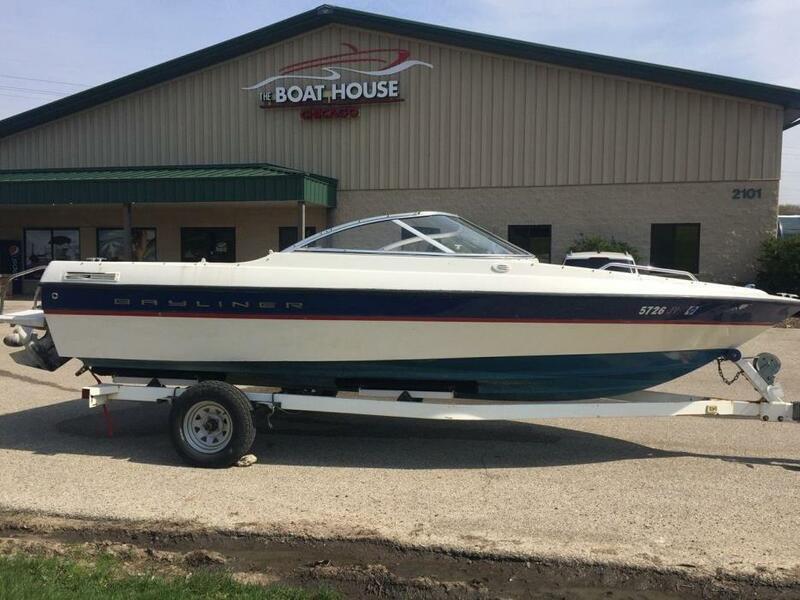 2006 Bayliner 195 Bowrider 2006 Bayliner 195 XT - Wake Board Tower, 190hp Mercruiser, Stereo w/MP3 Input, Extended Swim Platform, Trailer w/ Brakes and folding tongue, $14,900 or finance OAC at Boat Sellers, visit our warehouse, delivery available, trades considered. Factory Info: There's a whole lot of boat to the 195. 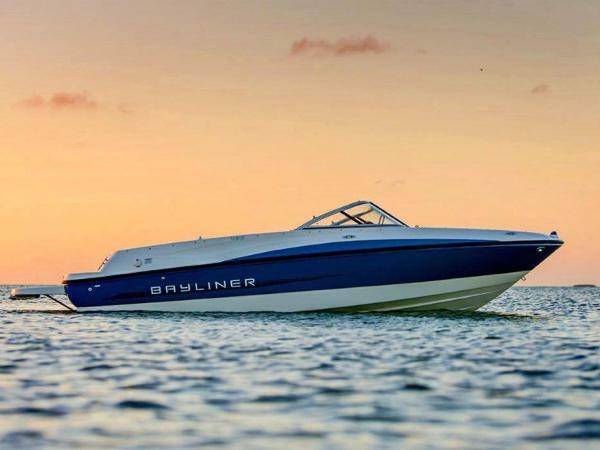 A potent MerCruiser V-6 delivers the pull for skiers and wakeboarders. The super-soft, cushioned seating provides comfort, while the large bow and cockpit give passengers free rein. With this much space, it's amazing the 195 still fits well inside most garages. 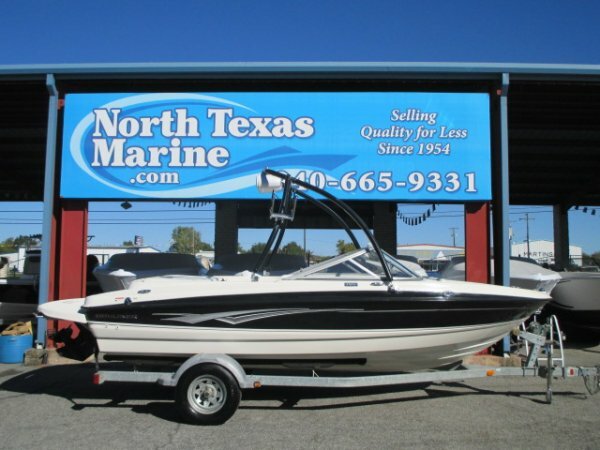 Key Features: Stow everything from life jackets to ski gear to water toys in the cockpit's deep in-deck storage locker. 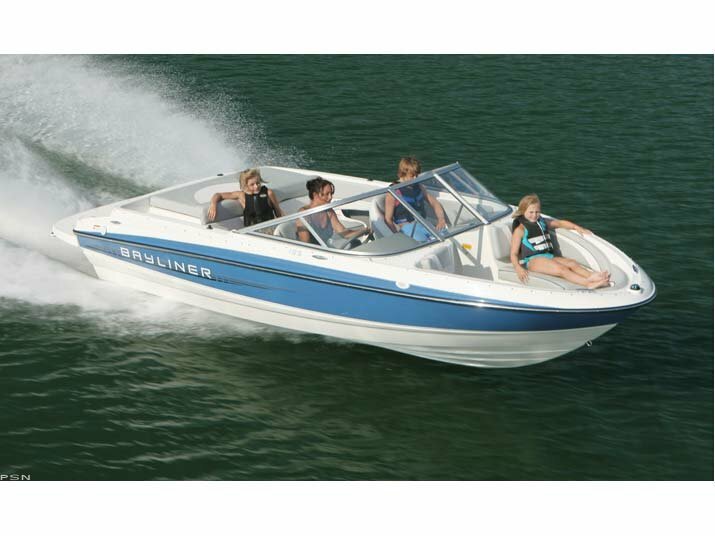 With optional Sport Seating, bucket seats conveniently swivel 180 degrees to face aft. The hide-away, pull-down swim ladder's contoured steps prevent slipping when entering and exiting the water.